Do you have a User ID and Password? If not, contact the CATA Paratransit office at 517-394-2282 between the hours of 8:00 a.m. and 5:00 p.m. 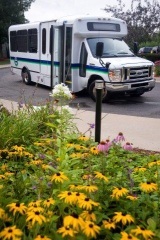 Welcome to My Spec-Tran, CATA’s online ride-management tool. My Spec-Tran gives our valued clients the ability to request, review and cancel Spec-Tran rides without requiring them to interact with a CATA representative. To get started, simply enter your client ID and password. Once you’re logged in, your Client Information — including your name and address — will be displayed. You’ll also see a menu of tools that will allow you to navigate through the site. You are at CATA's MySpectran site at myspectran.org. Return to CATA's main site at cata.org.